Health informatics focuses on the study of healthcare knowledge and management of how this information can be implemented in the industry to benefit both patient and physician. Individuals in the health informatics field analyze information and communication systems within the healthcare industry, aiding in the enhancement of patient care and experience as well as health outcomes. Health informatic professionals gain vast knowledge during their education and certification programs, aiding them in evaluating and perfecting clinical processes. Most health informatics implementation programs are utilized in the nursing, surgical, dentistry, and pharmaceutical fields, among many others. Clinical informatics are perhaps one of the most-utilized programs integrated into healthcare systems. Individuals in the clinical field will analyze, develop, perfect, manage, customize, and initiate clinical knowledge systems. Other workers in the clinical industry will collaborate with individuals in the health informatics career field, helping to provide tools for patients that enhance their overall level of care. These information systems and tools are also designed to aid patients in their health outcomes and recovery processes. The field is rather diverse, especially considering the wide variety of clinical settings that currently exist in the medical world. The work environment for individuals in the health informatics field vary greatly, mainly due to the many different medical fields and industries in the world. Dental, cardiology, cancer, immunology, pharmaceutical, computer science, nursing, public health, occupational therapy, and physical therapy centers are just a few of the many environments health informatic workers will work in. Often, this diverse working environment will provide an immense amount of work experience, helping to deepen industry knowledge and connections. A wider scope of experience is highly-sought by most employers in the health informatics industry. Health informatics will often occur in the clinical setting, with many workers finding themselves in hospitals, clinics, and short- and long-term care facilities. Workers will collaborate among other health professionals, work with technology and medical devices, and may also find themselves speaking to patients. These processes all contribute to the development and perfection of tools, techniques, and communications throughout the care process. Workers in health informatics may also find themselves at the computer for many hours of the day, working with large sets of data and information systems. Mathematics is often a skill that is developed and strengthened in the workplace. Health informatics salary range varies somewhat, based on location, experience, and employment level. A health informatics consultant, one who helps companies manage overhead costs, updates information networks, and aids in training teams, can generally earn around $80,000 per year. A consultant that has moved into a director’s position can earn in the high $80,0000s to over $100,000. A nursing informatics specialist can also earn around the same salary per year. Specializing in a particular field is in high demand, as many health care facilities are experiencing an increase demand in experienced health informatics specialists. A chief medical information officer can expect to earn $100,000 to $200,000 per year. Of course, this depends on experience and education level. Generally, a chief medical information officer has at least a masters degree, if not a Ph.D. An information officer will often work with various business software needs and will also develop and manage IT-related goals. 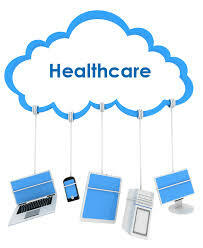 Medical information officers will also train IT developers and software teams. Most health informatic workers have a masters degree in biomedical, clinical, or nursing informatics. More universities are offering programs specifically for informatics, with a wide variety of specializations. The most popular specialization, as well as the most applicable to any work environment, is biomedical informatics. A masters degree is generally the minimum one can accomplish to expect to earn a very comfortable salary. Of course, a doctorate or Ph.D. in informatics may be helpful for increasing one’s chances of attaining a higher salary range. Also, it will allow individuals more control over the management of informatic systems, helping to further contribute to the healthcare field. Despite the earning potential, health informatics can provide a very satisfying career choice for many people who are passionate about healthcare, technology, science, and development. Health informatics allows individuals to contribute their highly-organized and highly-specialized skills in improving communication and technological systems within the healthcare field. The salary scale for health informatics is very high, as the need for these professionals is in increased demand in hospitals, clinics, and other healthcare facilities all across the nation.